The nerve-stretching tension inflicted on the rest of the ship’s complement (as well as movie goers!) was unrelenting from that point forward. The interstellar intruder developed into its mature and most hostile form - a skeletal creature with a disturbingly elongated cylindrical head and acid blood. 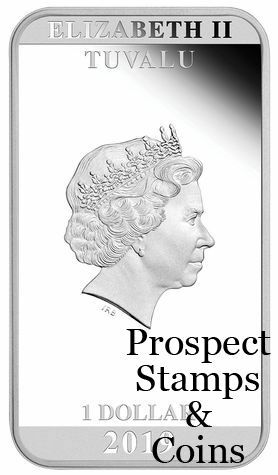 Its malevolent jaws concealed an inner set of incisors which extended with vicious speed and power as a means of brutal attack. 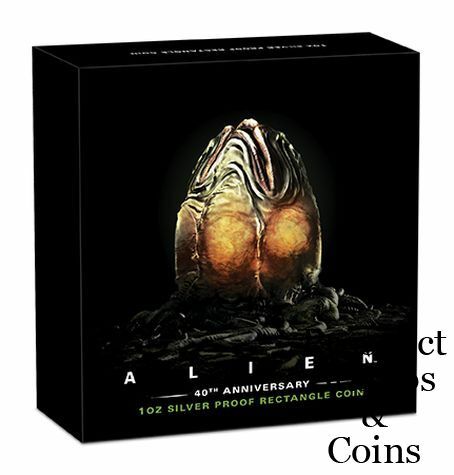 Celebrating its significant impact on the genre and enduring appeal over four decades, this coin portrays the movie’s dark and forbidding movie poster. Credited to graphic designers Philip Gips and Steve Frankfurt, the poster’s focal point is an egg which references the oval pods from which alien life first emerged in the presence of Nostromo’s landing party. Suspended over a shadowy lattice of calcified strands, the egg seeps sinister green-yellow light from a jagged crack in its side. 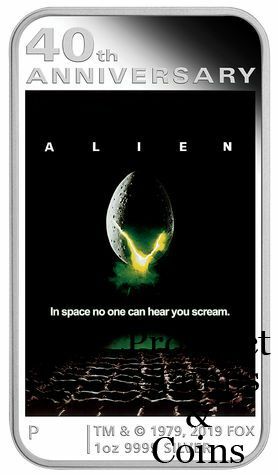 The artwork includes the unforgettably ominous line: In space no one can hear you scream. 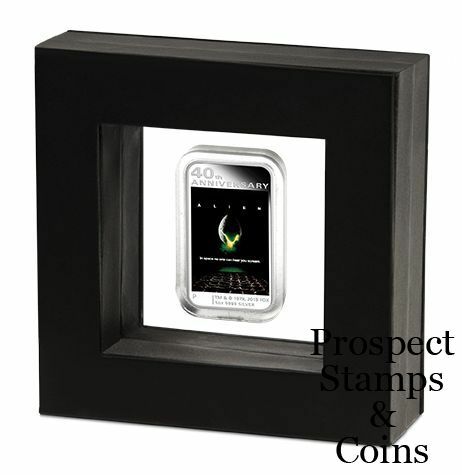 The coin is housed in a clear latex display case with a black frame, packaged within a themed shipper and accompanied by a numbered Certificate of Authenticity.